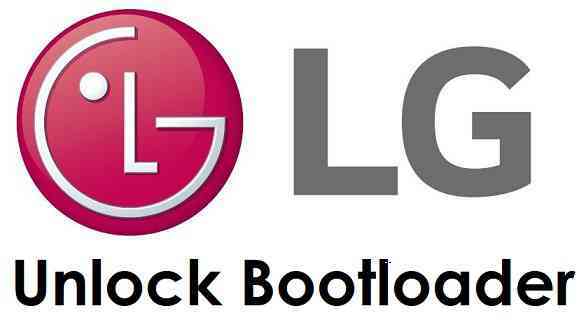 If you are looking to unlock bootloader on LG phone then here is a very simple Step-by-Step guide on the same. I will be taking you through a simple easy Step By Step beginner’s guide which I bet to be a buttery smooth experience even for the first time users. Just make sure to follow each instruction and you must not SKIP any step unless stated in this guide. It is important to understand that there could be some serious impacts if the instructions are not followed properly. Keep this in mind that you will lose your data while unlocking the bootloader on LG Phone and hence before proceeding further you may consider backup all the data on your LG Phone. A PC Installed with ADB and Fastboot. Download the USB driver installer from above download links and Install it on your Windows PC. Install ADB and fastboot utility on your Windows PC. Register on LG website to start the Unlock Bootloader on LG phone or device. Confirm e-mail, login and setup your LG account. Then go to the LG bootloader link and click on Starting Unlocking the Bootloader link at the bottom of the page. If the LG Bootloader Unlock Legal Terms will be displayed on your screen, then click I Accept to proceed. Your name and email address will be displayed. In the next box enter the first 15 digits of your phone’s IMEI number. Then Enable USB Debugging and OEM Unlock from Developer Options settings menu. Next, you open the command window on your Windows PC. To open a command window in the current directory in Windows, press shift + Right Click anywhere on Windows explorer, or some folder. Then on the menu opened, just press the “w” key on the keyboard or select “Open command window here” to open a command window. to start your LG phone in bootloader mode where you can get the LG Device ID. If your device asks permission such as “Allow USB debugging” then just tap on OK to proceed. The above fastboot command will return a character string. This is the Device ID which is needed to generate your unique Bootloader unlock key for your LG phone. Copy that device Id in the LG Unlock Bootloader page and then click on confirm. If you have entered valid IMEI number and Device ID, then a Bootloader unlock code for your LG phone will be sent to you on your registered e-mail Id. Follow the next set of instructions to unlock bootloader on LG phone if you have got the unlock key on your e-mail. By now you will still be on the bootloader mode. If not, then reboot your LG phone into bootloader mode by connecting the phone to the PC and executing adb reboot bootloader on the Windows command window. UNLOCK_KEY is the LG bootloader unlock key that you have got in the e-mail. By now you should already have an unlocked bootloader onyour LG phone. But to verify that the bootloader on your LG phone is really unlocked or not, you can follow the below instructions. The above command will return “unlocked: yes” is the bootloader is unlocked and “unlocked: no” if it is not unlocked. Further, stay tuned to the LG Common Topics forum for more information on LG device specific hacking, unlocking or development guides etc.